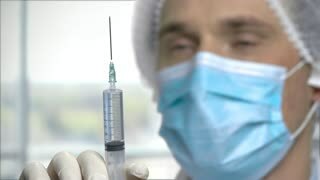 Boy in protective mask holding syringe. 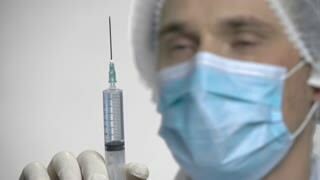 Child doctor in latex gloves and face mask holding syringe over white background. Dream of childhood. Portrait of young nurse holding syringe. Portrait of female doctor in lab coat and protective mask with a syringe. People, medicine, healthcare. Little boy with syringe and protective mask. Portrait of a boy, a child in a medical mask is holding a syringe. Green hromakey background for keying. 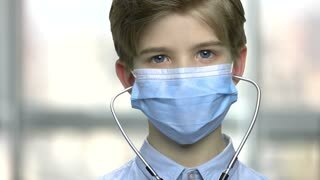 Boy in blue medical mask. Caucasian child wearing protective face mask and stethoscope. Dream of childhood.